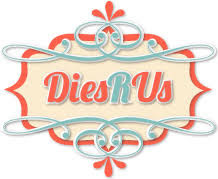 Last Day of the year and Die Cut Divas is thanking Dies R Us for it's sponsorship. We all wish you a wonderful end to 2017 and a bright and beautiful 2018. The prize is a $10 voucher to Dies R Us. Thank you to Dies R Us. 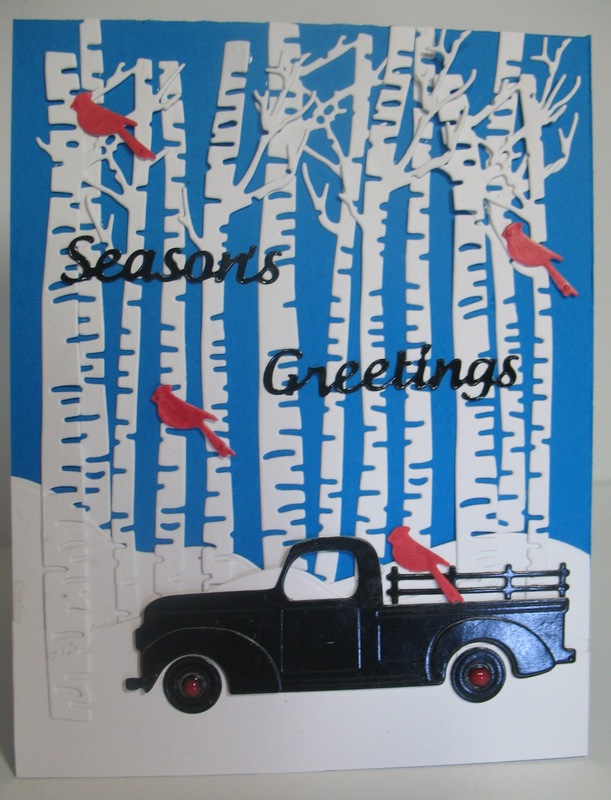 Arlene still has the Winter card making bug and made a forest with a truck. Catch Arlene at A Bit of This and That. 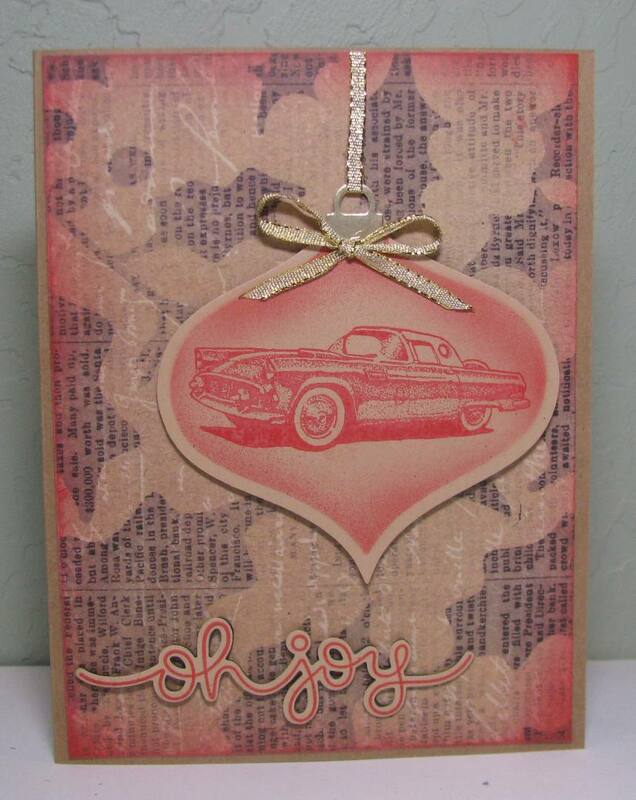 Michelle made a Christmas card for a friend who got a red 1957 T-Bird for her birthday! 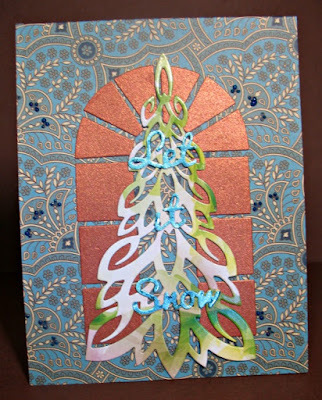 This uses Spedllbinders Heirloom Ornament dies (but these would work as well), Lawn Fawn Winter Script stamps and dies. 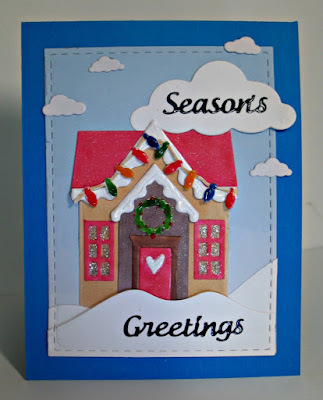 Join the Die Cut Divas for the Winter challenge. 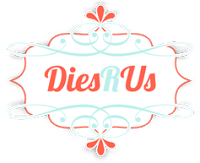 The prize is a $10 voucher to Dies R Us! I've worked with some different dies (for me) and I have enjoyed putting them together to make a composite I do like. I took the corner die-cut and laid it over the ornament and used it as a stencil, dabbing the distress paint onto the ornament. I thought that would tie everything together. Visit us at Die Cut Divas for more samples and to join in on the challenge for December. Close-up of ornament & die-cut showing one is the negative of the other. Monika here to share another "Winter Time" project. 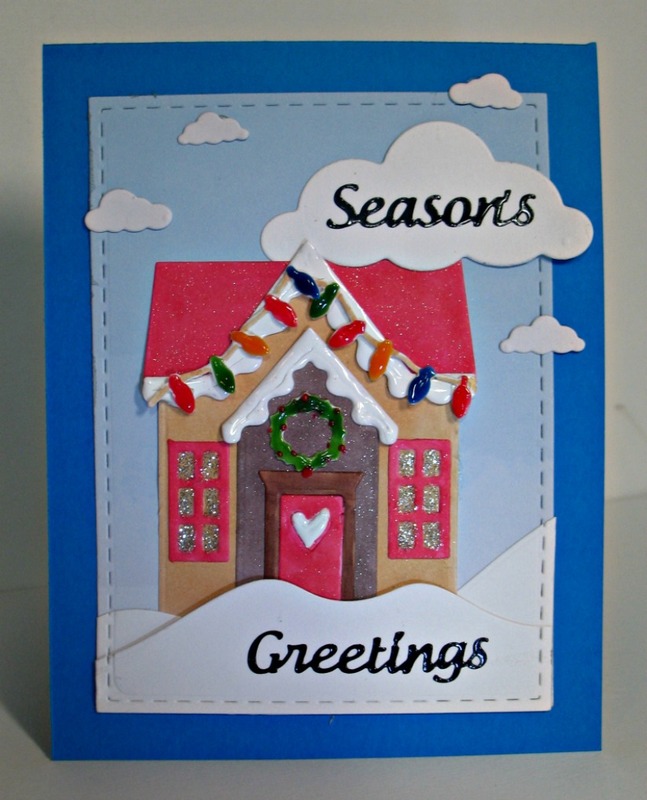 Come and join in to fun and make some "Winter" projects!! Dies R Us is presenting the winner with a $10 gift voucher to our winner this month! Dawn B here on this fabulous Thursday. 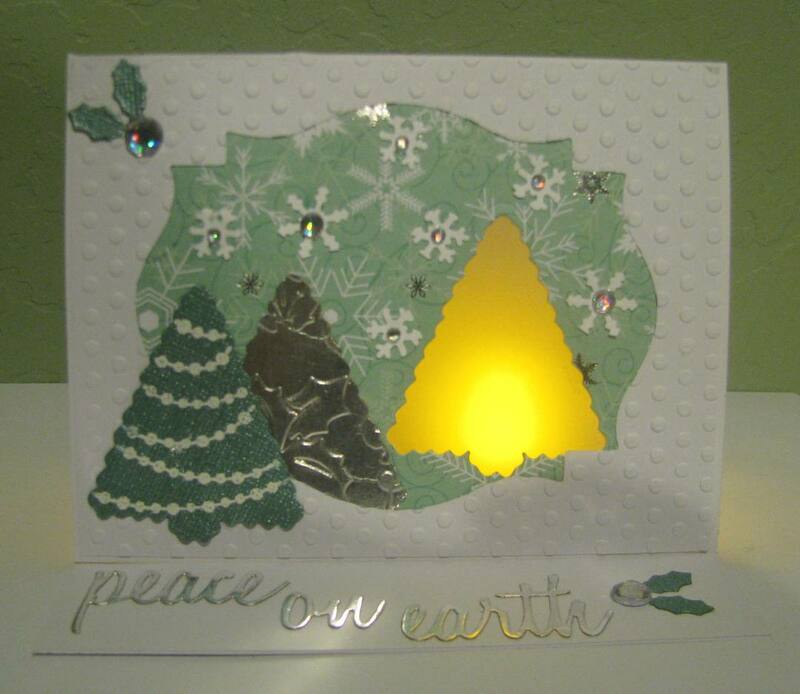 I'm sharing a Christmas card today. I used a Creative Expressions die by Sue Wilson for the JOY and a Marianne Designs die for the poinsettias. Thanks for visiting and have a Merry Christmas!!!! For more information, you can find me at Just A Nutter Paper Crafter. 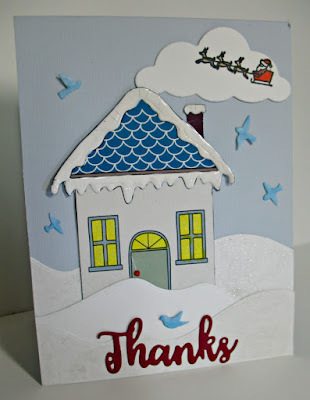 Thank you for visiting, and have a Merry Christmas! Soniya here with my latest inspiration for our December challenge. Winters are here and we can feel the snow and shining glitters!! 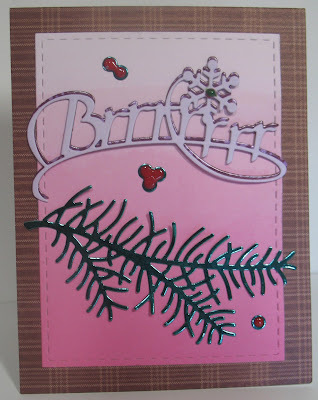 Sharing my recent card with BIG heart die-cut. For more details head over to my blog Growing Craft. Brother Scan and Cut for fussy cutting the boots. So keep creating with those gorgeous winter images and until next time have a great day. I have a tag for you today. Although my die is from Sizzix there are lots of great flower cards over at DiesRUs that would work. Dies R Us is presenting the winner with a $10 gift voucher to use. 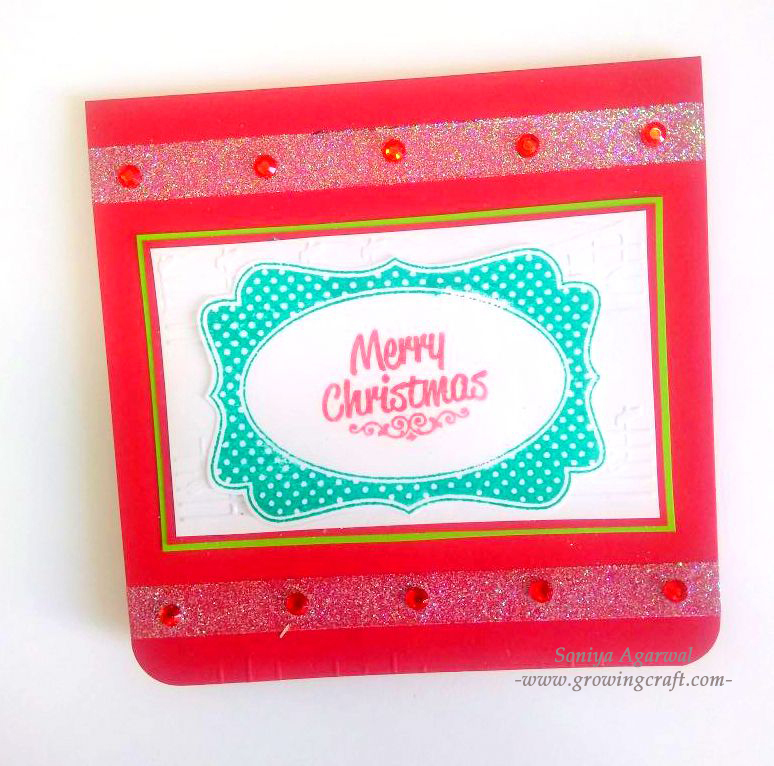 Supplies list: Card stock, Dies, stamp, ink pad, adhesive, glitters and colour stones. Do participate and enjoy crafting!! Hi there, this is Arlene here subbing in for Dawn B today. 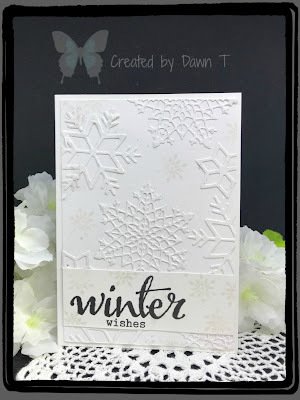 Dies R Us is our sponsor and you could win a $10 gift certificate on our random draw of entries to the Winter Challenge this month, here at Die Cut Divas. 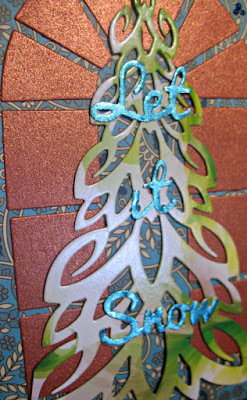 I die cut this tree with several others a year ago and now's the time to use this beautiful tree die. 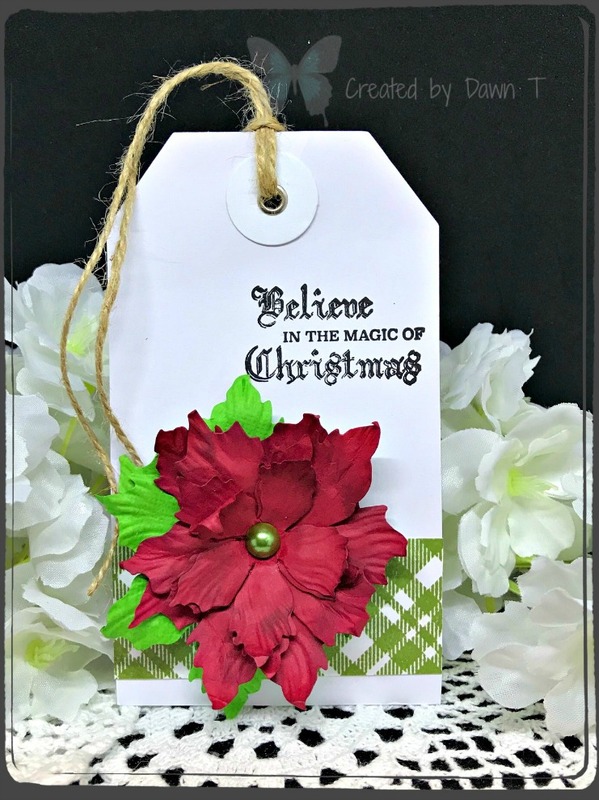 I like to make something used into something new and this tree is cut from a tissue box that my friends from work saved for me. I doubt that you would have known the origin of my tree unless I told you. 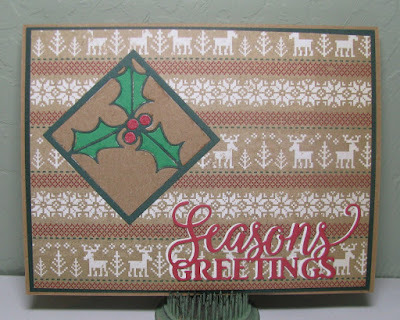 And no one would know this is a tissue box on the card itself. I am pretty proud of the fact that I re-use many things that would just be put in the re-cycle without going through a re-use first. To make the Window Frame, I left the frame in the die and dropped the glue onto the panels. I put the upside down frame about 1/2 inch from the edge of my desk. I turned the card front upside down on top of the frame and pressed the card onto the die, lifted up and my frame was attached to the card in a perfect frame. I left the center cuts out because I thought it would frame the tree better. Close-up below. The paper is that shiny. 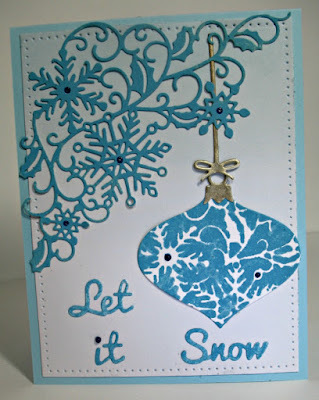 Yes, Die Cut Divas does have a Winter Theme going on,, so please have fun and participate. 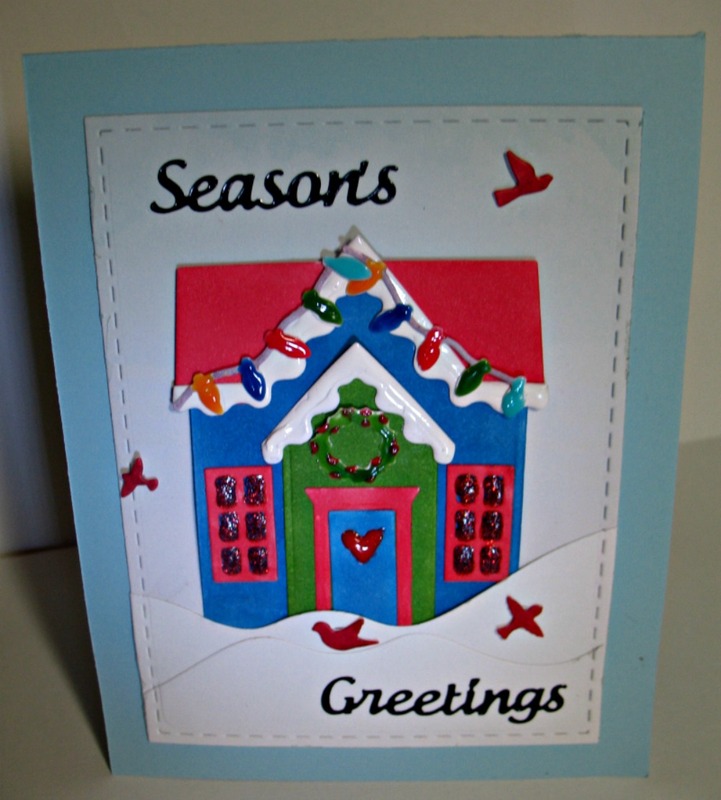 I had made this card and found that it is not available at Dies R Us anymore. 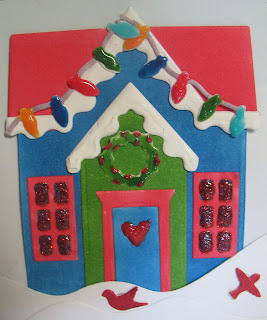 However, the Elizabeth Craft Designs new houses are and I will link them at the bottom in my supply list. 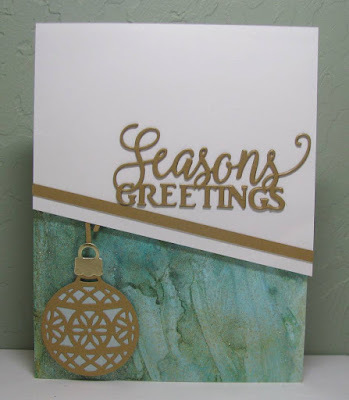 Elizabeth Craft Designs stickers "Season's Greetings"
The prize this month is a $10 gift voucher! 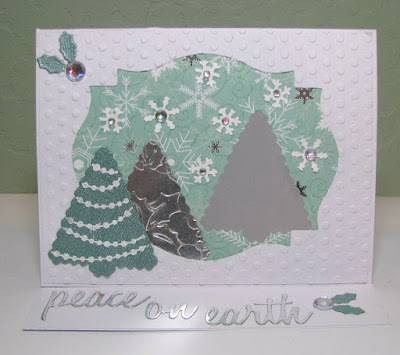 The dies I used for this card are the holly square (Frantic Stamper) and the sentiment (Impression Obsession). I'm finding I like to stack the sentiments so they have a chunky look. This time it needed contrast, so a white shadow with red words works on this card. 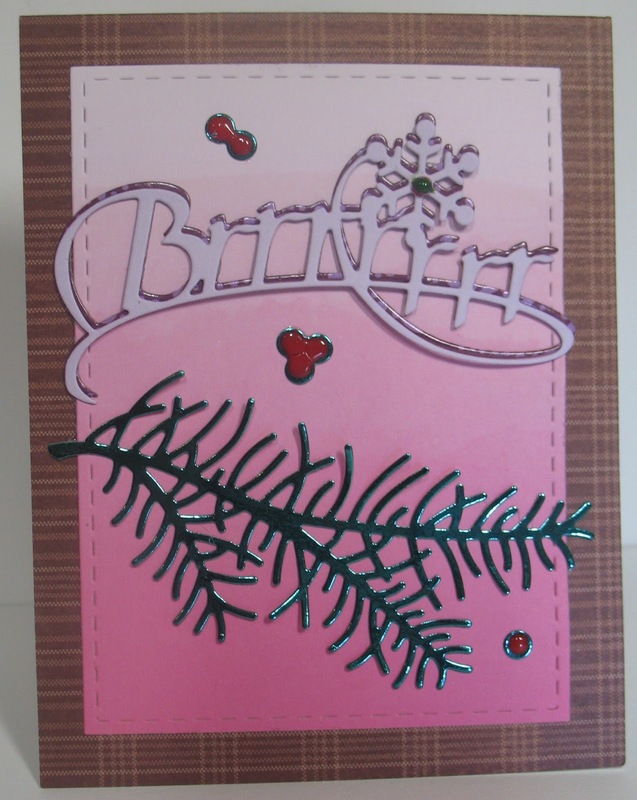 For more information on this card, please visit me at Just A Nutter Paper Crafter. 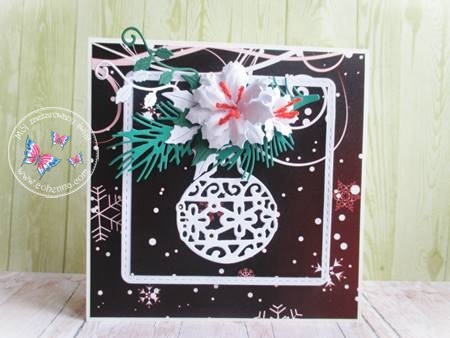 Winner of the challenge will receive a digital kit of their choice from A2Z Scrapbooking. Please email Die Cut Divas at thedcdivas@gmail.com so we may forward your email to A2Z Scrapbooking and you can choose the digital kit of your choice. 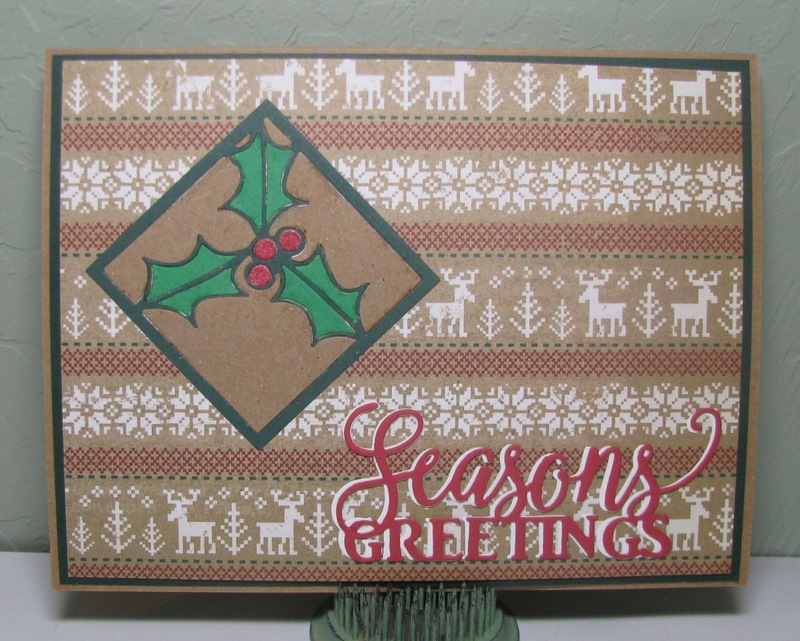 Michelle's favorite was from Greta H.-I loved that soft, autumn feel to this card! Arlene's favorite is # 49 KartenKram. 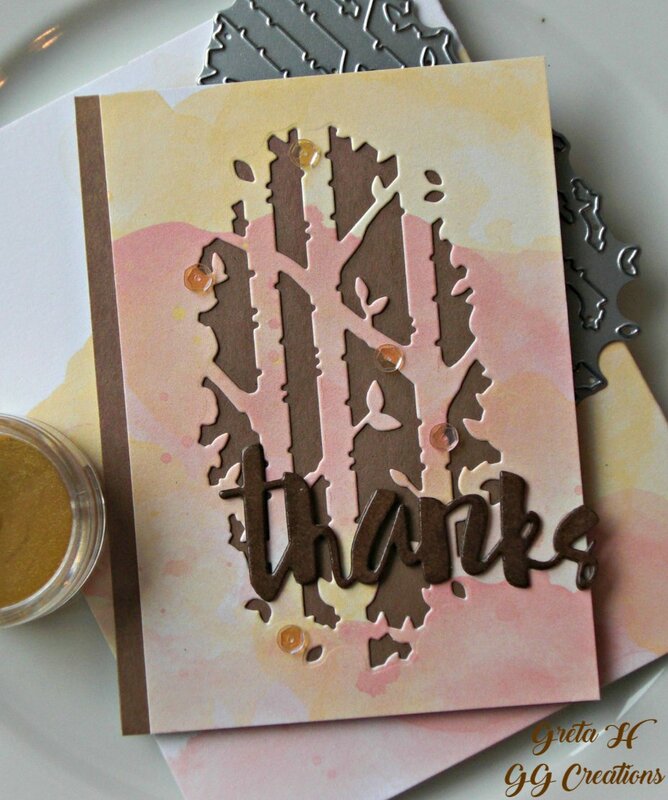 She loved the beautiful background and lovely leaf die-cut. 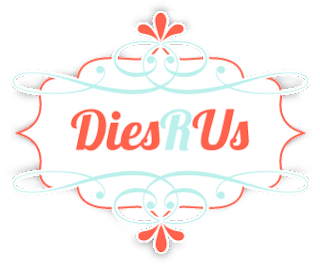 Dies R Us is our wonderful sponsor for our Winter theme. Anything winter, including a Santa on the Beach is super to enter. We invite you to participate in Die Cut Divas' Winter celebrations. It's time to finish up those winter wonderland cards and shower us with WINTER CARDS. You can see what she used at A Bit of This and That. 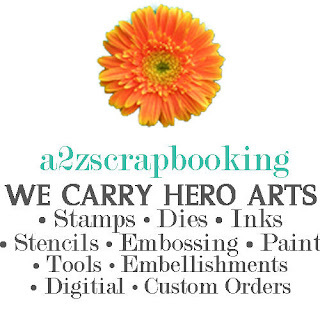 November's sponsor is A2Z Scrapbooking and we are very thankful for their sponsorship. The prize will be a Hero Arts digital kit of your choice. 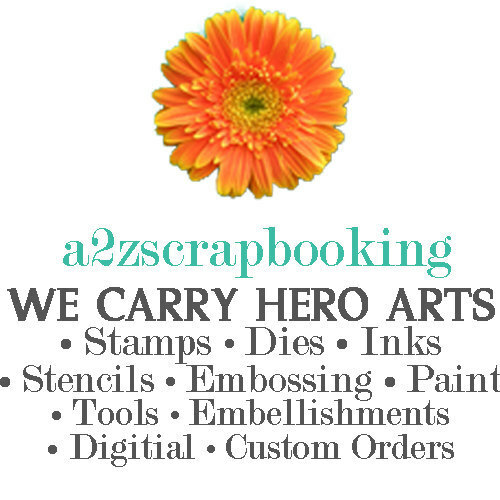 The A2Z Scrapbooking store<carries a wide variety of Hero Arts products! Get discounted new releases, sales, grab bags and more. 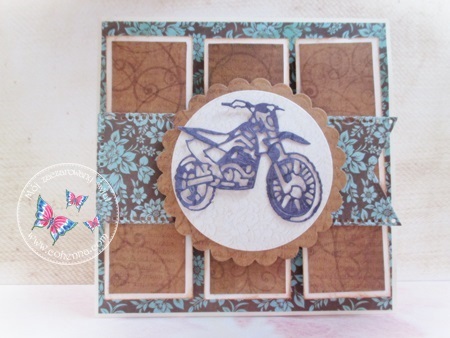 Proceeds from the A2Z Scrapbooking store benefit Celiac and Behcets disease foundations. If you’re looking for a Hero Arts product you don't see in store, use the Request Custom Order button from with-in the shop. Arlene thought Santa was scouting out the area before Christmas and had just left a big Thanksgiving dinner for which he was very thankful. Arlene at A Bit of This and That. 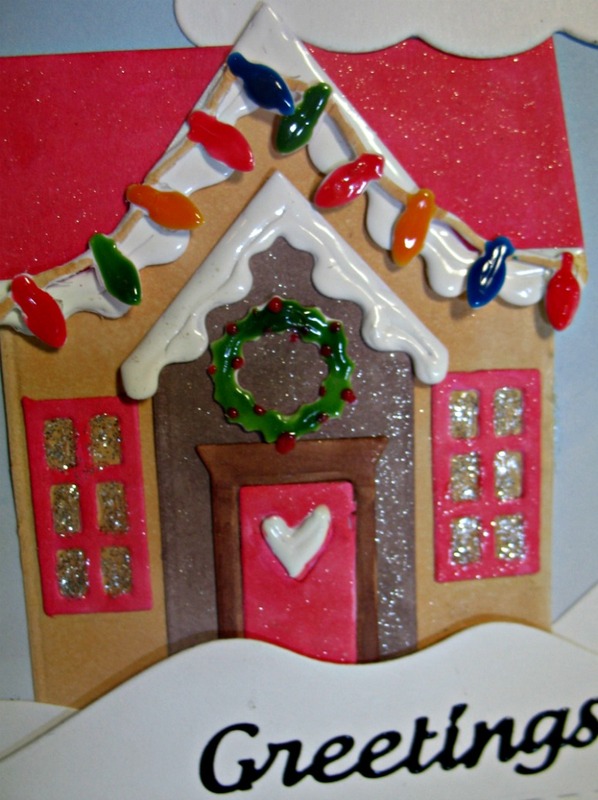 Michelle wanted something bright and cheery for the cold winter months! 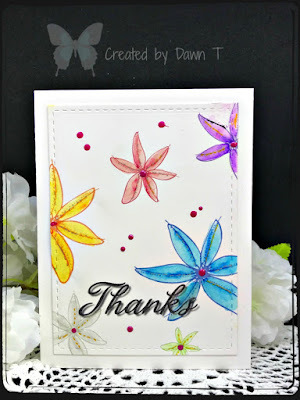 Hi Dawn T here to share today my CAS Thanks card. 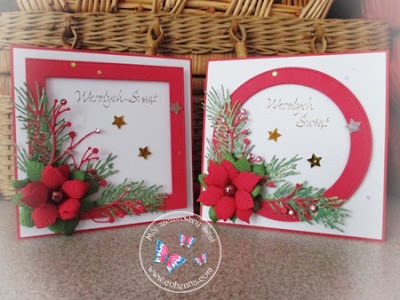 A2Z scrapbooking are the main retailer of Hero Arts Digital kits and today I have used two different ones to make my card. I do my digital editing in Microsoft Word. 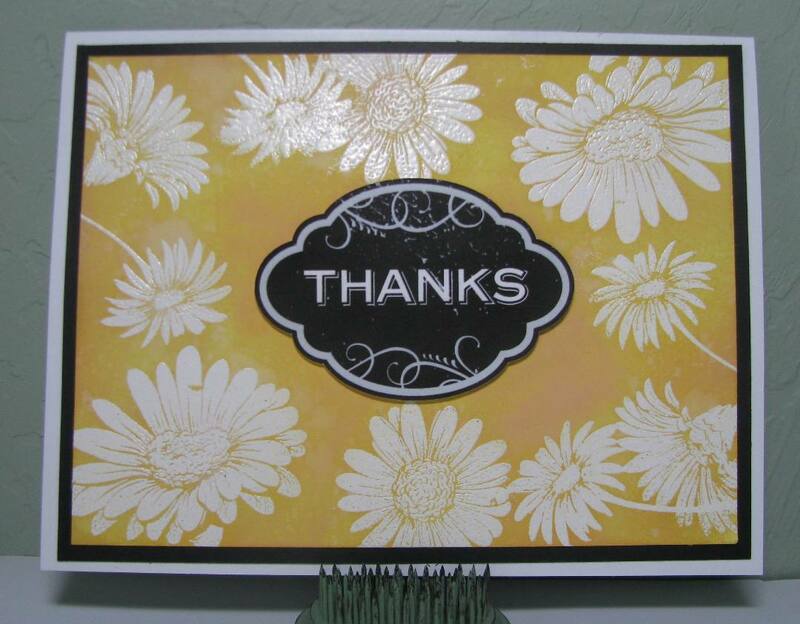 It gives me lots of options when using the images - such as adding shadows (as I did with my Thanks sentiment) and to change the colour and size of my images (as I did with the flowers. I snipped one of the blossoms and pasted it onto my page. Then resized, recoloured and printed it onto some Canson Bristol card. 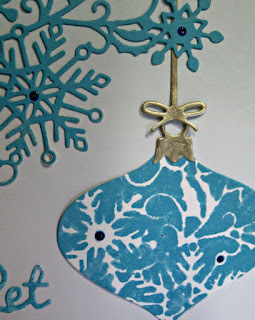 I used a Lil'Inkers die to cut it out. 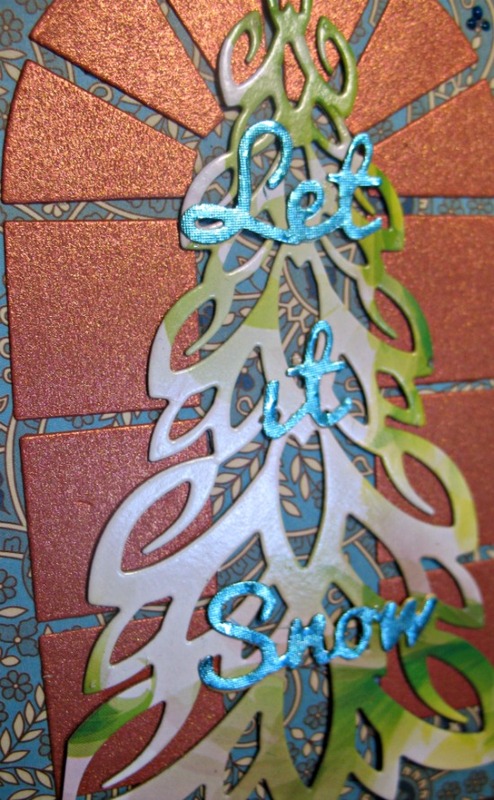 I used Zig markers and my Spectrum Noir sparkle pen to colour (lots of sparkle in real life) . A few Nuvo drops in Rhubarb Crumble and it done. thanks for playing along with us this month. We've loved having you join us. 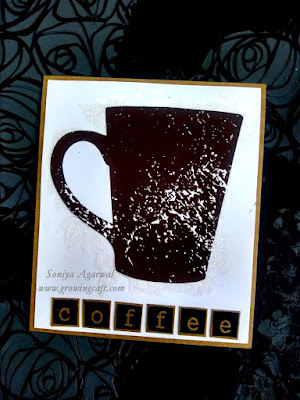 Loved making this addictive coffee card with glitters!! 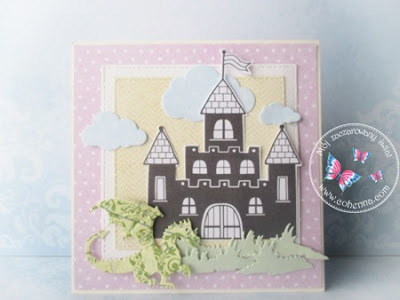 Come and join in to fun and make some projects!! I made a funny card with a beautiful castle and a dangerous dragon. Dawn here with some Hero Arts Inspiration. I have chosen to use the Hero Arts Sunshine Flowers digital kit.